PMT 2015-116 by Kenneth L. Gentry, Jr.
From time-to-time, I am able to answer questions that readers send in. Here is one that I have received in a few different forms. I thought PMT readers might appreciate this brief Question and Answer. He said that postmills apply the restoration Psalms and prophecies like dispensationalists do, in a literalistic, types and shadows fashion. For example, regarding Psalm 2:8 the amill said that postmills apply the terms “nations” and “earth” in a way that Jesus and the apostles never intended (political entities, etc.). From his perspective, the NT teaches that for Christ to make the nations and earth His footstool refers to the salvation of the Gentiles from every tribe tongue and nation, not Christ’s influence on political structures, etc. I think this is a good argument and I am a bit stumped. Can you help me? We must be careful not to throw out all literalism just because dispensationalists wrongly use it. Clearly many prophecies are to be interpreted literally. 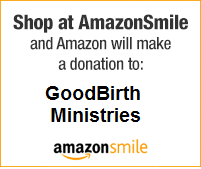 Perhaps the virgin birth is the best example of a literal prophecy — in that it involves one of the fundamentals of the faith by impacting the pre-existence and deity of Christ. The Scriptures are not one-dimensional. They employ a variety of communicative forms and cover a broad range of literary types. We must check each text according to its context and its intended meaning. Of course, the particular matter you bring up, does involve a particular text and context. You specifically mention Psalm 2:8. So here we have a concrete example, which is much better than an abstract principle. I don’t see the problem with using Psa 2:8 as evidence for postmillennialism. That is, I don’t understand what the issue of “political entities”/ “political structures” has to do with the amill/postmill debate here. Even setting aside the idea that particular political entities are in view here, the fact remains that the Psalm declares that Christ will make “the nations” (whatever they are) and “the very ends of the earth” his possession. He is not speaking merely of converts selected out from the nations, but the nations and the very ends of the earth themselves. The psalm appears to be speaking of some sort of global dominance. And of course this is expected in postmillennialism. In addition, I would note that David calls upon the kings and judges of the earth to do homage to the Son (Psa 2:10-12). It seems he goes to great lengths to speak of not only people in general (nations and ends of the earth) but even their political rulers and judges. This leads me to believe that he does have nations as such in view. We surely do not believe that God has no interest in political structures and kingdoms. Besides all of this, reducing the significance of Psa 2 would not affect the broader argument for postmillennialism. Postmillennialism is not a “one text” eschatological system (as premillennialism tends to be with Rev 20). We have a great number of texts from Genesis through Revelation that promote an optimistic view of the unfolding of history. 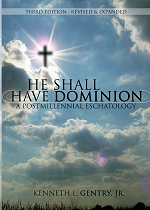 For instance, my book He Shall Have Dominion: A Postmillennial Eschatology presents, defends, and promotes postmillennialism. It is over 600 pages long and covers texts from both testaments. Indeed, it employs scores of biblical texts. It would be greatly reduced in size if it were only dealing with verses that speak of national entities. Yes, this speaks of the spiritual kingdom. But of course, it is entered through its earthly manifestation through the church. And of course, if everyone (or a vast majority at least) in a nation is converted, who’s left for political office except Christians who bring their values to their work? Postmillennialism is not some kind of terrorist ideology forcing itself on unwilling participants. It is the natural outcome of a powerful God, who became a powerful King who through a powerful Gospel is truly able to transform the human heart. Transform the heart of a person and you transform everything about them, including how they run the country.